The number one requirement of any camera is to produce good-quality images. It doesn't matter what other features a camera has if it produces poor-quality images. Tony Northrup recently posted a video comparing the image quality of the new Canon EOS R to several other cameras. 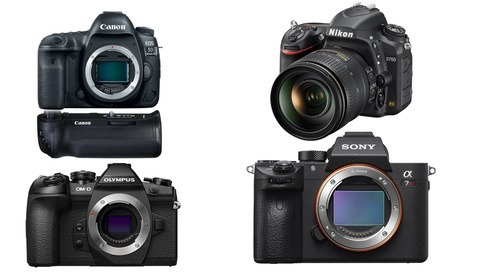 Northrup compares the new Canon EOS R to the Canon 5D Mark IV, the Canon 6D Mark II, the Sony a7 III, and the Sony a7R III. While I usually shoot Nikon cameras, I enjoyed Northrup's review since he compares the EOS R to not only other mirrorless cameras but also to different price range and styles of cameras. The EOS R faired well when compared to the other cameras, but like all cameras, some perform better in different ways. The video does an excellent job of describing how the EOS R stacks up to the other well-known cameras. Northrup addresses what he believes to be a significant flaw with the EOS R, which involves an aspect of the dynamic range of the camera. Is Northrup right to be concerned with one issue he believes is a flaw with the EOS R? Is this flaw enough to deter you from purchasing the new Canon EOS R? 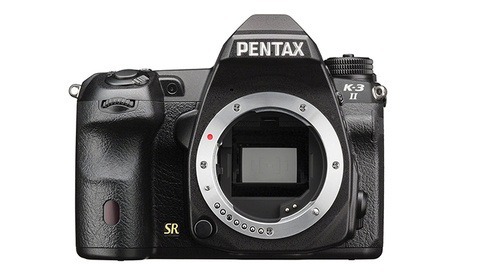 Or is it an attribute you can accept in a camera that has many other strengths? DR has always been a bit weak in Canon's offerings. The significance of this of course depends on how important DR is for any given individual, so the word "flaw" is perhaps a bit click-baity. If you need 5 stops of recovery the serious flaw was your exposure. But I'd also like my shadows to not have lines in them. It's easier to get to (need) 5 stops than you think. Say I'm shooting with the 16-35 mk III wide open at 16mm and correct the vignetting. That's 4.6 stops in the corners right there. Or just any vignetting at all. Canon shadows are just the worst on the market. Just don't underexpose by 5 stops and you're fine. But it's inadequate for Sony users who like to turn off all the lights and shoot in complete darkness. Don't you know all modern photographer are natural light bat photographers?? As wedding photographer, a >5 stops of luminance between light and dark parts of a single indoor scene is NOT uncommon. You do realize there are another 5+ stops of dynamic range above middle grey as well right? Jared, I DID say ">5 stops" or did I stutter? I don't get it. He ranks image quality based on megapixels. A7m3 24 megapixel not as god as Canons 30 megapixel, but best A7rm3 with 40 something megapixel. I understand a larger file will have more resultion then a smaller file, looking at same size in Lightroom. But so what? Printing at 300 PPI, who can tell the difference? Or on a web page? Nothing to explain. It literally shows the amount of detail you can get when moving up in MP count. Which I think you understood. So ranking by MP for overall Image Quality is correct. Oh, and a larger file doesn't mean more resolution. I understand a larger file have more information and I understand if I make large prints at one point the smaller file will fall apart, but in smaller prints I actually presume it does not matter. I don't think a 10x8 from A7Rm3 is better then from A7m3. If it was as simple as bigger pixelcount creates better images, would we not all go for that? Ex. Nikon d850 gives you the benefit of uncompressed or compressed RAW files. Though you will have no advantage in choosing uncompressed. Each one will retain the same resolution for both files but one will be a smaller file size (compressed). You would never be able to tell the difference at 8x10 between the two cameras. By larger files I am referring to more pixels. Somehow I don’t think his rating of cameras after pixels are relevant. Its valid if you're talking Image Quality and the results show. 42>30>24 nothing you can do about. All the cameras a super similar and will get the job done. How much detail are you wanting? 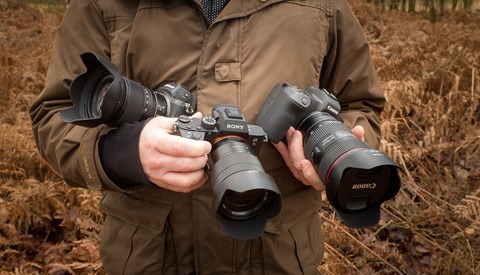 Yes I think they all are good cameras and I think 24 MP gives plenty detail. Thanks. Nice try Sony! Disguising Fred Armisen with contacts and a platinum wig may trick some people into buying an A7, but not this guy! I think the Dynamic Range issue is a bit overblown. It's one of those things that obviously you would always like to have more of if it's available, but how many of us would really need 15 or whatever stops of DR in a single shot without bracketing? I would imagine the answer to be very few. The same can be said of megapixel count, FPS burst, buffer size, etc. If DR is super important to you, then the chances are pretty high that Canon has not been your choice of camera system for quite some time now and it looks like this will continue to be true. Anyway, I guess take stuff like this with a grain of salt and ask yourself, "Yes, Camera 1 has more ______ than Camera 2, but will it actually matter?" In some cases, the answer might be yes. If the answer is no, compare the aspects of the camera that do matter rather than getting hung up over a detail that won't make a difference in your shooting. Also, so many people freak out about losing the shadows or blowing out highlights, but I don't get where all of that paranoia comes from (Maybe from school where they're constantly driveling on and on about shadow and highlight detail during critiques?). Expose for what's important and place that where you feel it needs to go. If that means you lose some insignificant part of the photo in doing so, then so be it. Unless you're submitting to stock or something, nobody is realistically measuring your photo to see if some whites in your photo are registering as 255 across the board or if you've got 0's across the board on your blacks and if they are, they need to get a life because they're missing the point. It's really only photographers themselves that worry about stuff like this. For better or worse, nobody else in the real world cares. Where I do the exposure jsut fine with something like D810, D850 on more dynamic scene I have to adjust and recover in post with Canons or go for backeting.. but 5DmkIV is fairly close to competition .. I am in total agreement with Tony here. I don't have the fancy 5Dmk4, but a lowly 6D. While great in good light, the camera fails me when I have to pull shadows, like in HDR, or extremely contrasty shots (not as rare as you might think! ), Like a bun ch of unusable shots of a redwood forest including the shadows and the sky. Or, if I just screw up and underexpose. Then, when I see similar (but not as severe) issues in the 5Dmk4, I cringe. When those problems seems worse in the EOS R, I am just mad! This is something I know will bite me right when I absolutely need it clean in the shadows. The noise usually means lots of time in post fixing what should be good to go. But that banding is just not worth fixing. So as a result, the Sony A7r3 is extremely attractive to me--more so now than when the Canon EOS R was revealed. I want to yell at Canon..."It's the sensors, dummies!" If it's landscapes, then why not bracket and exposure blend? I would think that it would be a better way to get clean shadows than bringing them up in a high DR camera, anyway. I did, but the shadows are too noisy with even a little pulling. And HDR software usually makes my 6D image look bad when there are deep shadows. I know much more work will likely yield some better results, but I don't have time to work so hard. I would much rather have a more resilient image to start with. Better? Maybe. Practical? Not always. When in doubt, I bracket but try to work with the best exposure if at all possible.